I make and sell "rhythm bones" in several different styles and woods. I also occasionally make musical spoons. Here's some of my handiwork. All of the bones are hand cut and shaped, and finished with an oil finish. Click on each picture for a closer view. Included with each pair is a 10-page booklet on bones basics, including a few more advanced techniques. 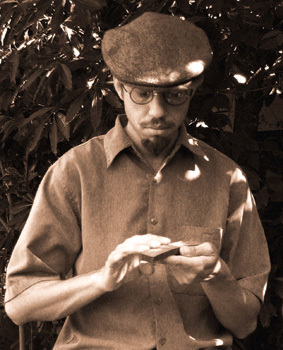 Currently (October 2006), I'm just starting to make bones again. I don't have any bones in stock, But I'll put some pictures up here when I do. 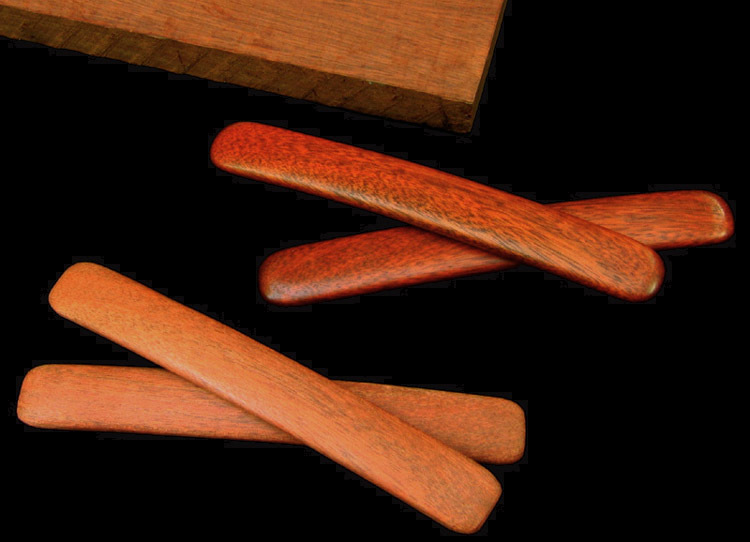 Medium sized bones, made of Cocobolo -- it really is that colorful. Fairly bright sound. Medium-weight bones with tapered ends, made of African Sapele. A good basic sound, not too loud. Attached spoons made from a single block of redwood burl. Somewhat shorter bones made of Purpleheart, bright and solid sounding. Thick, loud, round-ended bones made of South American macacauba (maca wood). Also an unfinished pair of macacauba bones, and the board both came from. 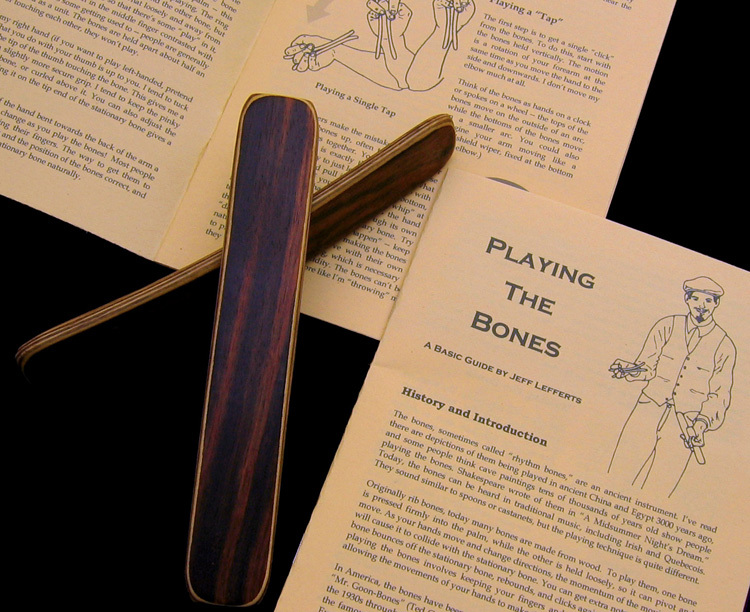 Laminated bones made of 11 layers of hardwood veneer with a Macassar Ebony face, along with an instructional booklet I wrote, which I include with each pair of bones. Bones made of Cherry, light for speed, tapered down at the grip end to save weight, and wrapped with leather cord for a better grip. Softwood bones, thicker at the ends, with leather-wrapped grips. Quiet, light, fast, and very variable in tone.